Unit/Ship/Squadron: Nelson Bn. R.N. Div. Cemetery/Memorial: Thiepval Memorial, Somme, France. Grave Reference: Pier and Face 1. A. Additional Info. Son of John and Christina G. Stark Butters. Additional Info. 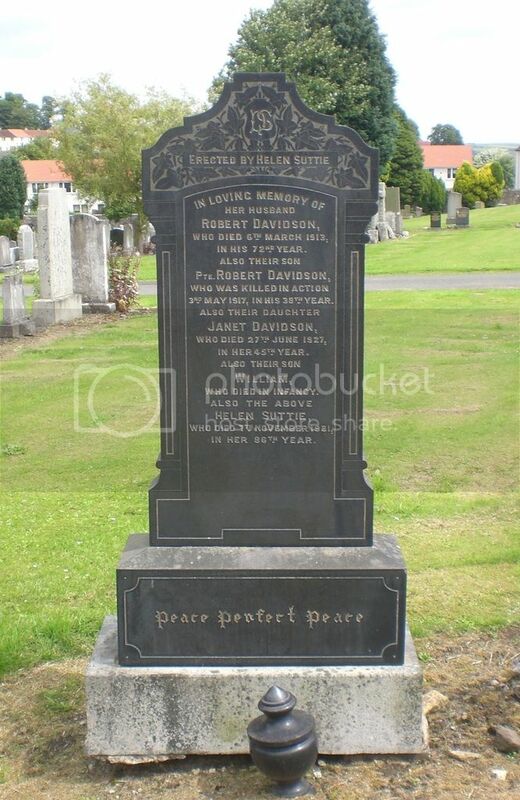 Son of the late Robert & Mrs Helen Davidson of 16 Zetland Place, Lochgelly, Fife. Grave Reference: 1. E. 8. Additional Info. 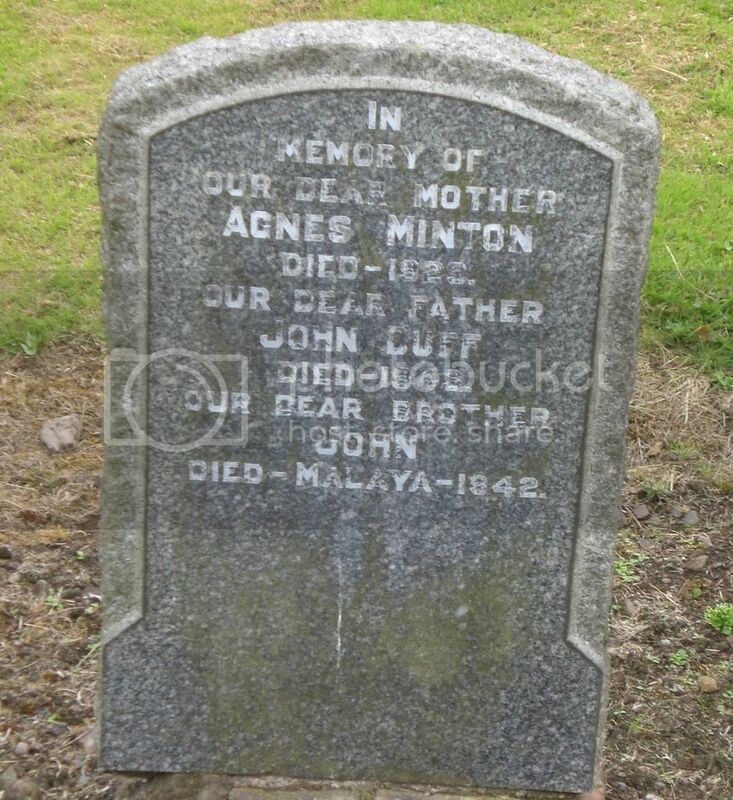 Son of John and Mrs Agnes Minton Duff. 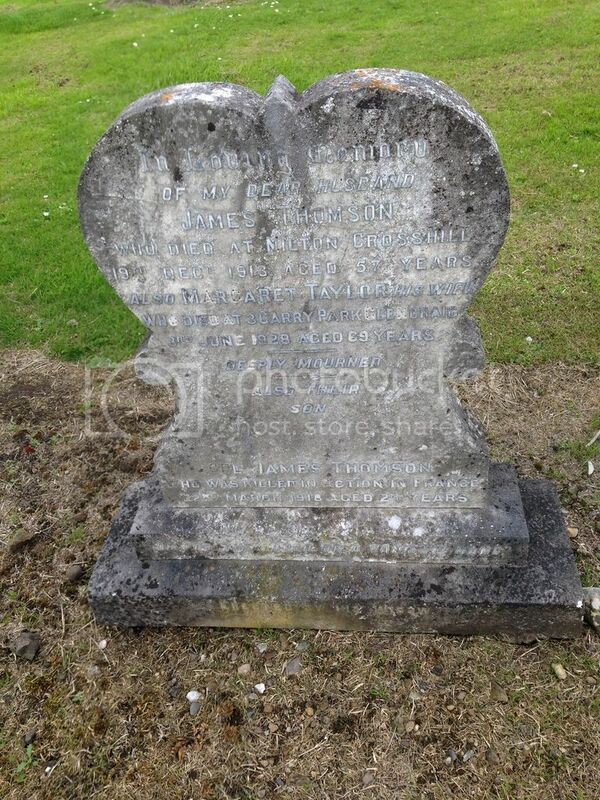 Headstone in Malaysia reads: Resting Where No Shadows Fall, In Perfect Peace He Awaits Us All. Cemetery/Memorial: Maubeuge-Centre Cemetery, Nord, France. Grave Reference: Row B. Grave 28. Son of Michael and Mrs Mary Glynn;. 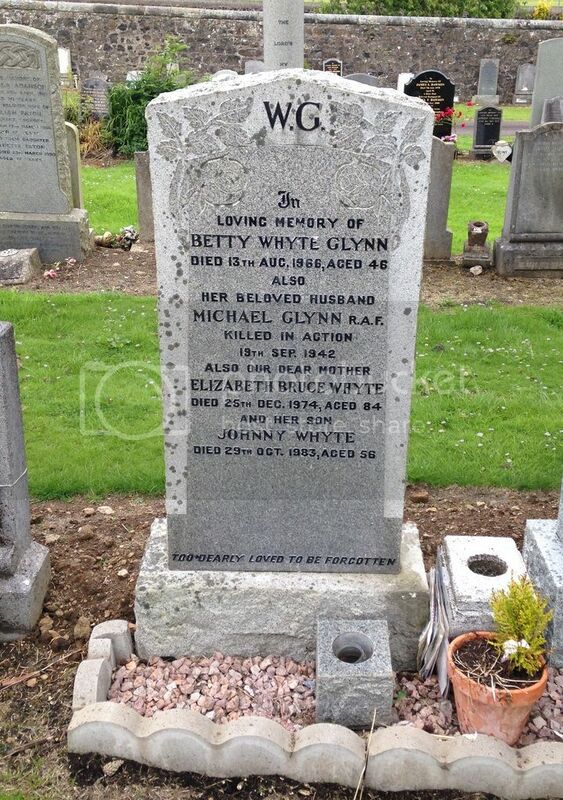 Husband of Elizabeth Whyte Glynn all of Lochore Fife. 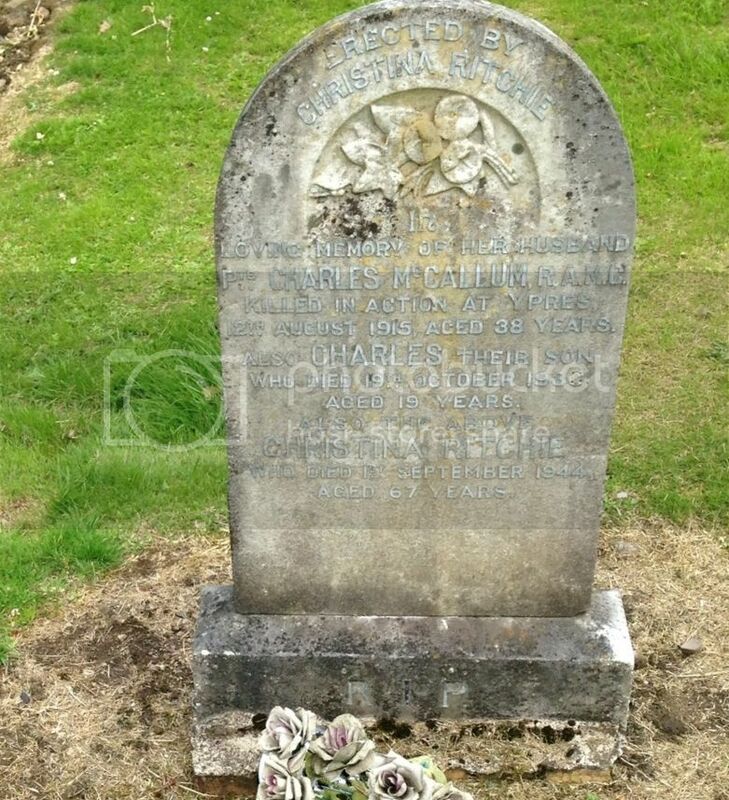 Headstone in France reads: Years Roll On And Days Go By But Loving Memories Never Die. 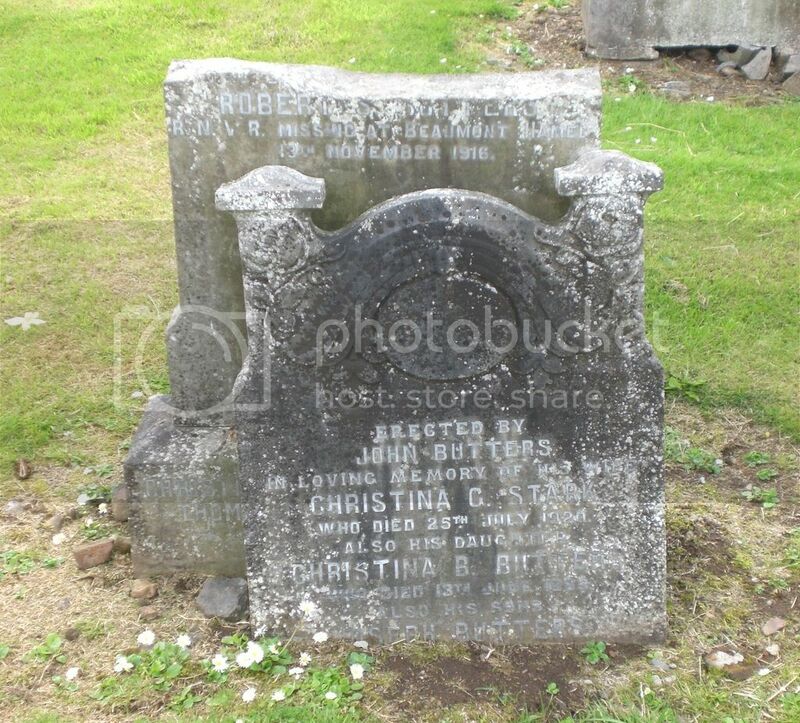 Although family headstone in Ballingry states date of death as 19 Sep 1942, CWGC gives a date of 20 Sep 1942. Unit/Ship/Squadron: 1st / 7th Bn. Cemetery/Memorial: Abbeville Communal Cemetery, Somme, France. Grave Reference: II. A. 11. Additional Info. 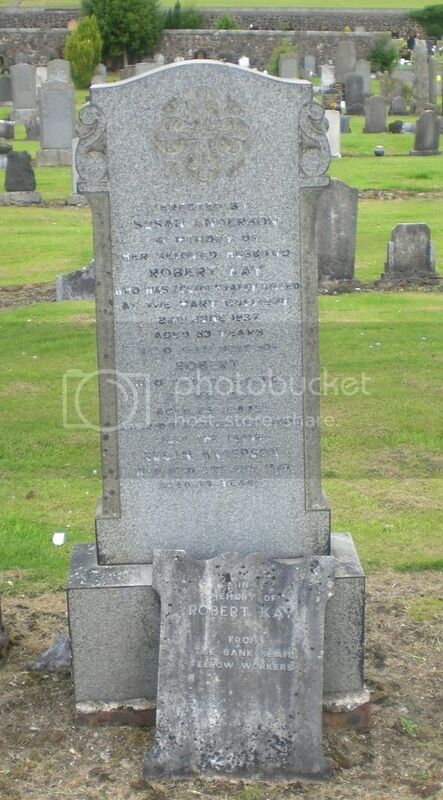 Son of John and Mrs Isabella Hedley Jackson of 20 North Street, Lochgelly, Fife. Headstone in France reads: For Country's Sake His Life He Gave He Died Beloved By All. Cemetery/Memorial: Beach Head War Cemetery, Anzio, Italy. Grave Reference: XIII. F. 4. Cemetery/Memorial: Tyne Cot Memorial, West Vlaanderen, Belgium. Grave Reference: Panel 85 to 86. Additional Info. 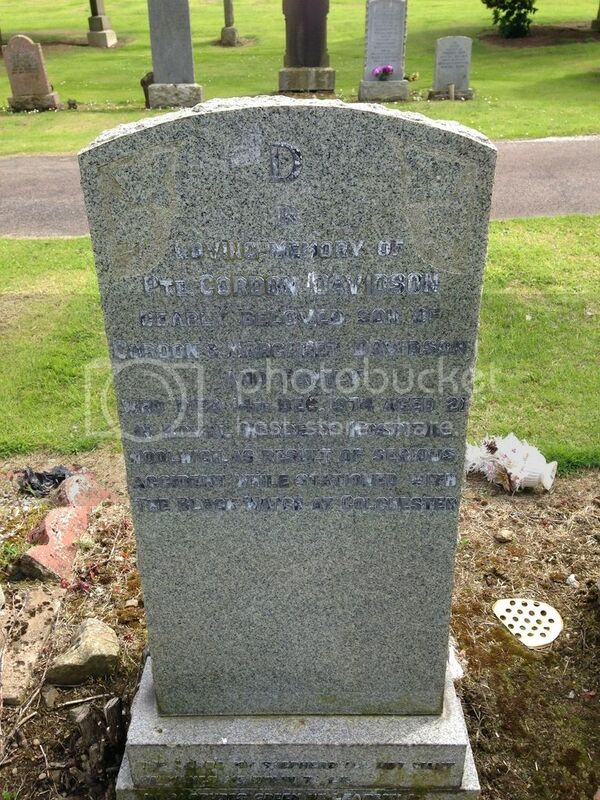 Son of Peter and Mary MacDuff of Dinsdale, Lundin Links, Fife. Enlisted in 1915 in Canada, Canadian Expeditionary Forces. Gazetted to Black Watch 1917. Cemetery/Memorial: Poperinghe New Miliatry Cemetery, West-Vlaanderen, Belgium. Grave Reference: I. G. 6. Cemetery/Memorial: Etaples Military Cemetery, Pas de Calais, France. Grave Reference: L. C. 24. Additional Info. 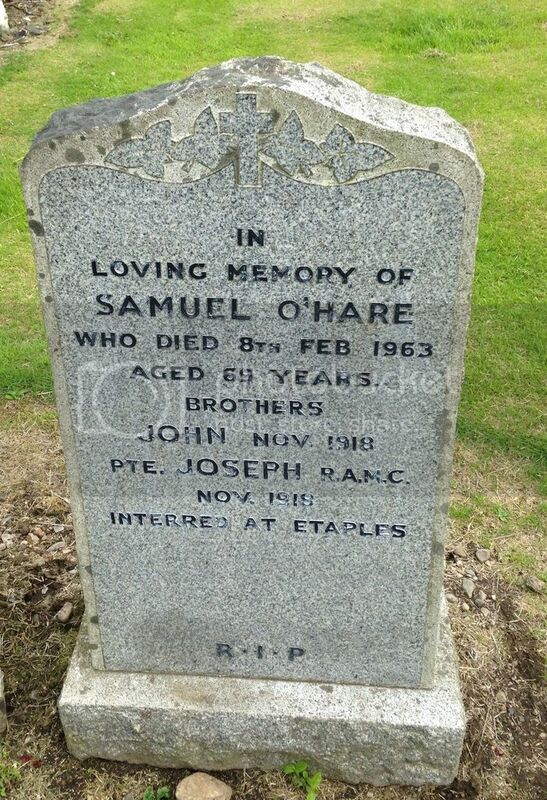 Son of Sam and Elizabeth Smith O'Hare; husband of Mary O'Hare of 10 Richmond Place, Lochgelly, Fife. Native of Glencraig, Fife. 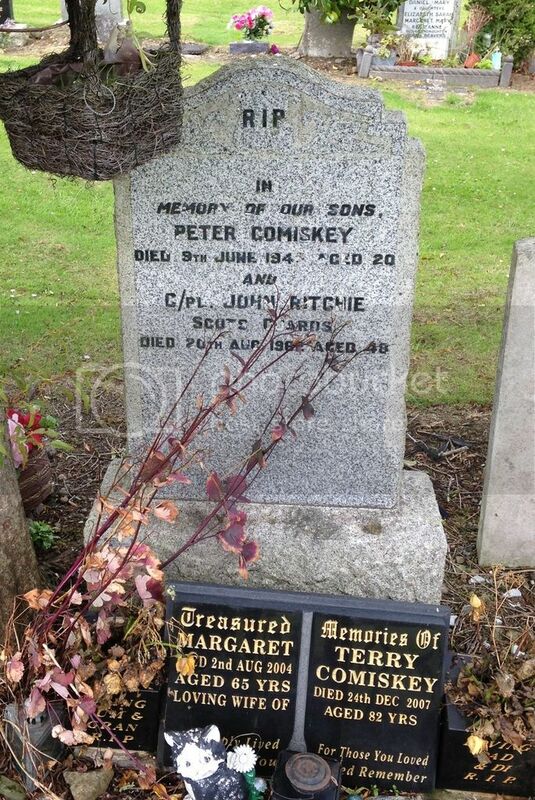 Headstone in France reads: Until The Day Breaks And The Shadows Flee R.I.P. Cemetery/Memorial: Bruyelle War Cemetery, Hainaut, Belgium. Additional Info. 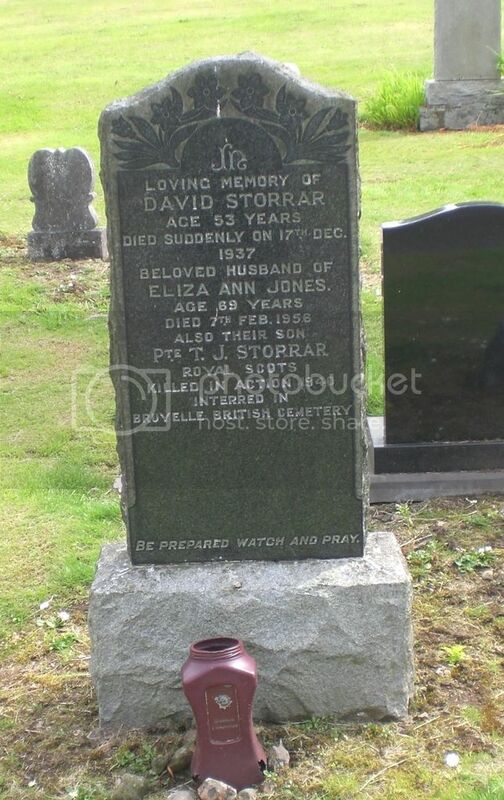 Son of David and Mrs Eliza Ann Jones Storrar of Methil, Fife. 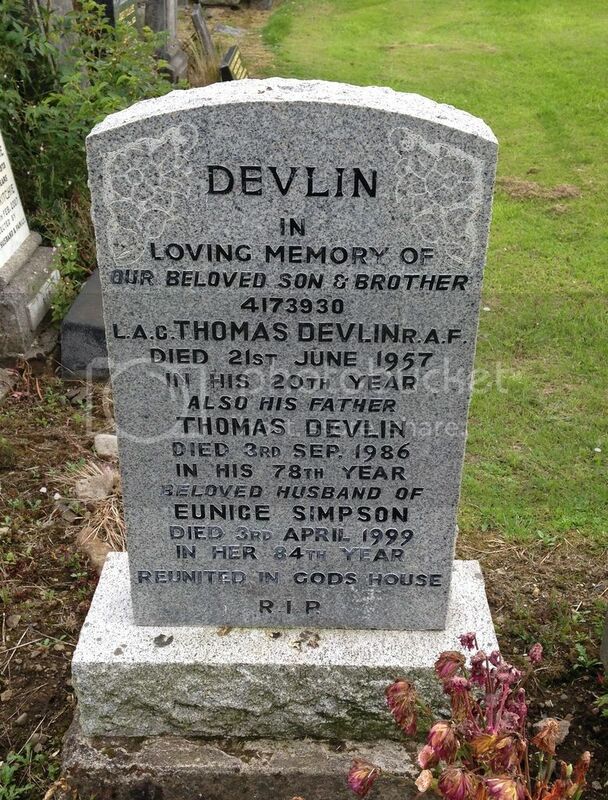 Headstone in Belgium reads: There Is A Link Death Cannot Sever Love And Remembrance Last Forever. Cemetery/Memorial: Peronne Communal Cemetery Extension, Somme, France. Grave Reference: III. I. 3. Additional Info. 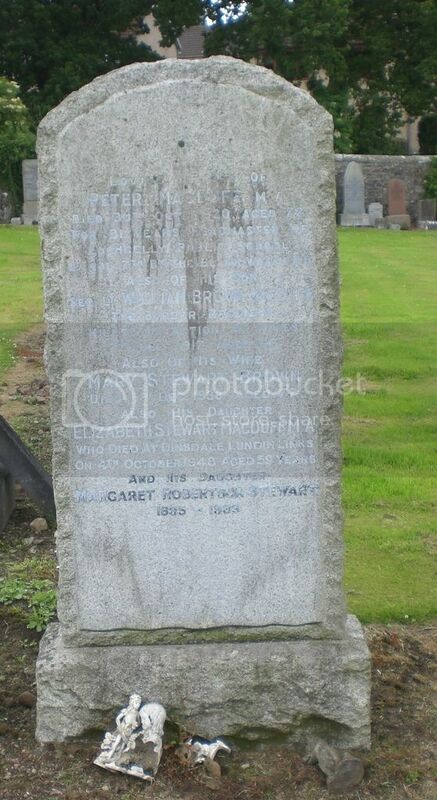 Son of James and Mrs Margaret Taylor Thomson of 3 Garry Park, Glencraig, Fife. Headstone in France reads: Their Glory Shall Not Be Blotted Out. Additional Info. 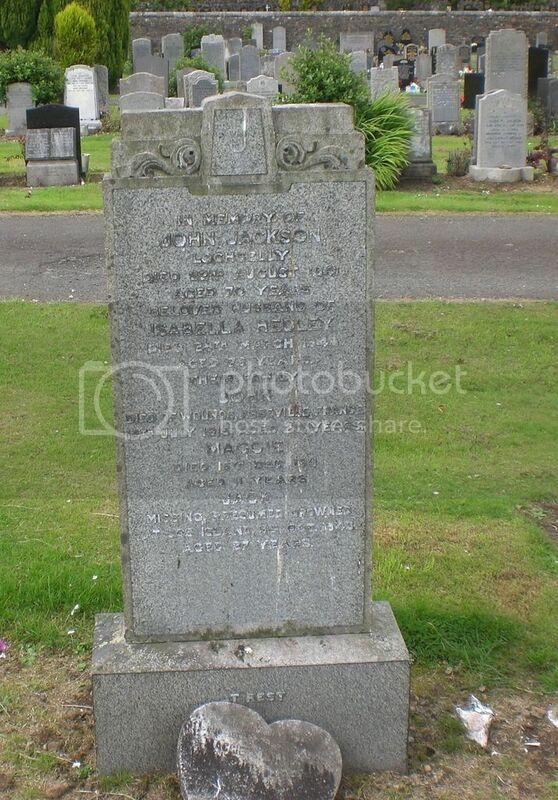 Son of Gordon and Mrs Margaret Davidson. Additional Info. 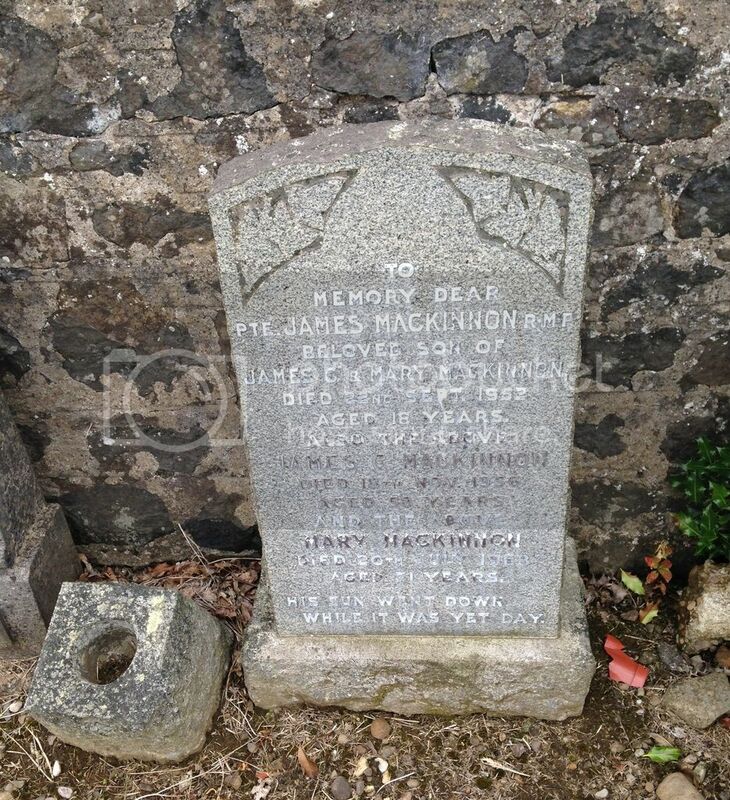 Son of James and Mrs Mary Mackinnon.